Preheat oven to 350°. In a large bowl, combine eggs, egg yolks, whipping cream, half-and-half, mozzarella cheese, 1/2 cup cheddar cheese, Swiss cheese, tomatoes, seasoning blend and basil; pour into a greased 9-in. deep-dish pie plate. Sprinkle with remaining cheddar cheese. Bake 45-50 minutes or until a knife inserted in the center comes out clean. Let stand 10 minutes before cutting. 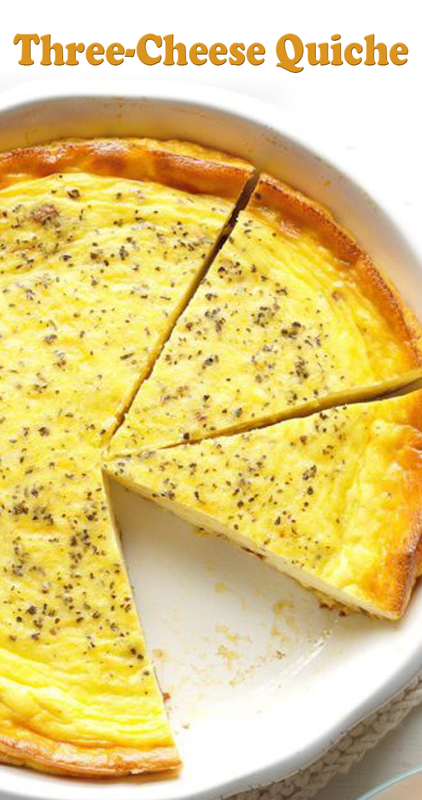 Freeze option: Securely wrap individual portions of cooled quiche in plastic and foil; freeze. To use, partially thaw in refrigerator overnight. Remove from refrigerator 30 minutes before baking. Preheat oven to 350°. Unwrap quiche; reheat in oven until heated through and a thermometer inserted in center reads 165°.